The idea behind a SwissCorps suitable is actually one of recognition rather than military-grade rating. By popular demand, SwissCorps allows Zazzle to manufacture and ship a SwissCorps branded suitcase which immediately stands out visually and makes it extremely easy to identify and retrieve luggage for both SwissCorps staff, trainers, members, and customers. 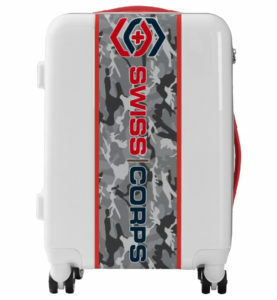 The Zazzle-manufactured suitcase does meet SwissCorps quality standards but is to be considered as branded merchandise rather than an official SwissCorps product. 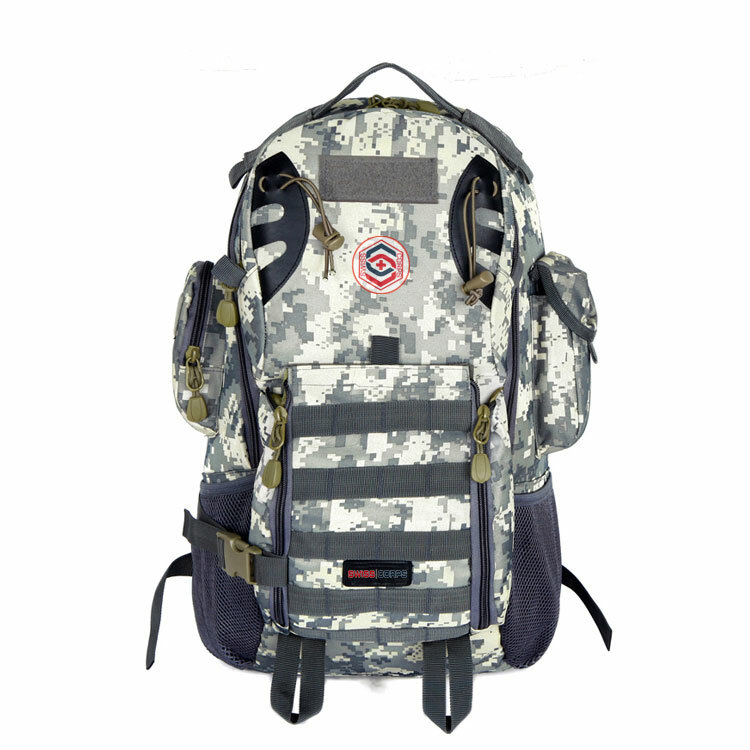 Building on the record of military transport for missions and deployment, both individual and in contingents, SwissCorps has designed a line of products that will meet and exceed the expectations of travelers, both civilian and military. In particular, our team benchmarked the SwissCorps Urban/Tactical backpack against other available solutions, notably SwissGear products as well as military surplus samples. beyond them into the impossible."